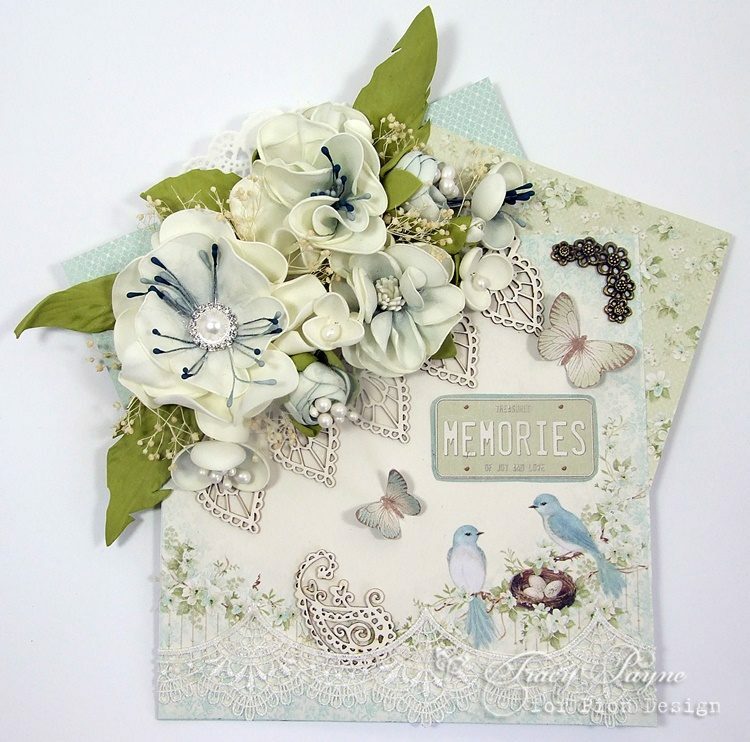 Tracy here and today I am sharing a special card that you may have seen in the “Making Cards” magazine. I used the beautiful collection “The Songbird’s Secret”. I was careful not to cover up the darling birds. I cut the butterflies from the border sheet, the Memories word was cut from Mr Tom’s Automobiles sheet.